There's always something new out there. In the world of Solid State Drives (or SSD), we have already seen and tested quite a few different variants ranging from the regular 2.5" types that are the norm nowadays with a thickness of 9.5mm, to the kinds made for the new Ultrabooks with a thickness of only 7mm, to the tiny interface called mSATA which is the size of two Canadian quarters. 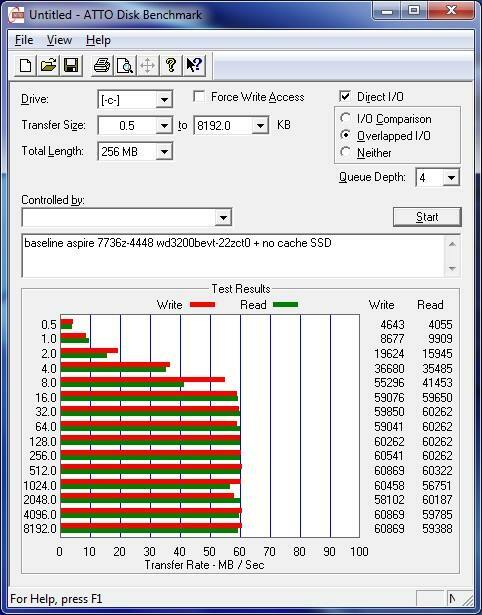 We have seen quite a few SSD's, though we have not seen them all. Back when we reviewed the KingFast F3 Series KF1310MCF mSATA 3.0 SSD, one of our paragraphs mentioned the premise behind the tiny footprint of the mSATA interface being designed for portable solutions such as Ultrabooks, Netbooks, Notebooks and that such were being made to be used as a boot or cache drive. I mentioned that a cache drive is when you use an SSD for example, in combination with a regular spinning hard drive to improve its read and write access times, increasing overall system performance. The cache drive's purpose is to defer the performance burden from the spinning hard drive to the much quicker performance oriented SSD. We have taken a look at a couple of KingFast SSD products previously on ModSynergy.com, with most of them having favorable and memorable impressions left upon us. Those ones were fast, used quality components, was competitively priced, and gave a complete bundle. Not all of them were that way though. 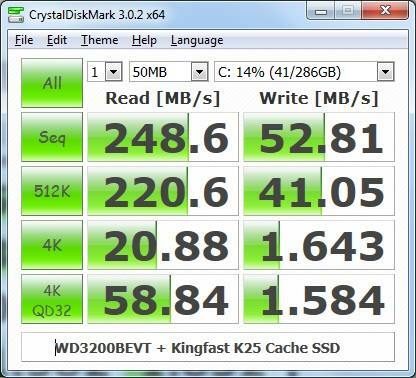 One KingFast SSD did end up missing the mark with our expectations and that was partly due to not knowing what was inside, no mentions on the packaging and on the website, and when it came time to dissection and testing, its performance was the slowest SATA 3 based SSD we have ever reviewed at the time of writing. And we came across the odd problem of not being able to flash one of the SSD's during the broken TRIM firmware SandForce debacle. KingFast couldn't re-code a firmware for our specific drive sent to us, and we therefore had to send the unit back to be re-flashed. Today marks another one of those new reviews we will share with you, our readers, about. In our Solid State Drive Review Segment, we have not tested a cache drive thus far, well that is about the change with the all new KingFast Ultra-Cache Series SSD's that were sent to us. 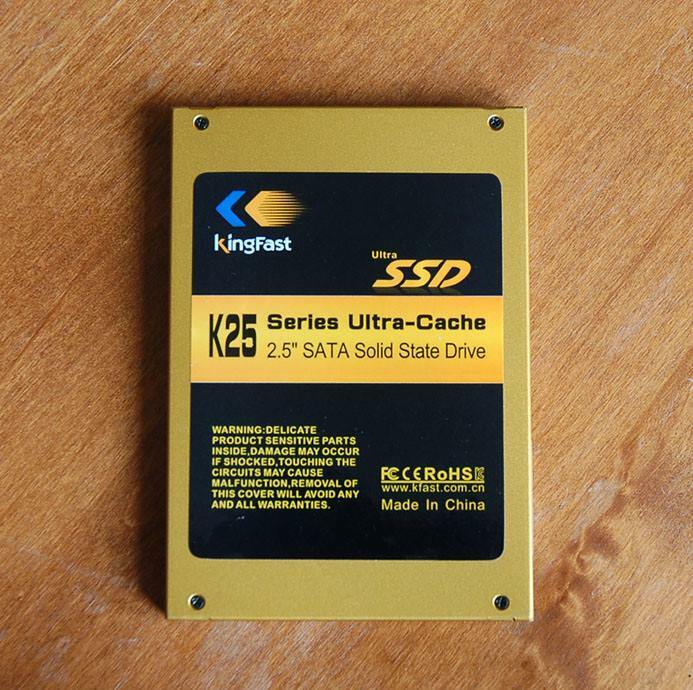 This marks the first SSD cache drive's in the KingFast lineup, so they are new to this as we are. The K25 model is meant for use in desktop machines, while the K13 mSATA model is meant for use in portable notebooks, netbooks and Ultrabooks. The premise behind the new Ultra-Cache series of SSD's is to bring affordability and performance to those situations where a tight budget is needed to be met. 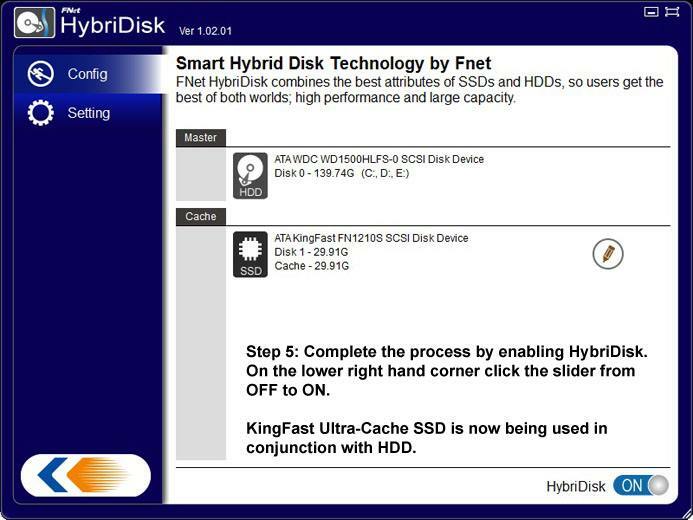 For KingFast, the Cache SSD K-Series is being aimed at getting the best of both worlds. In one spectrum you get to experience the performance of an SSD, the other spectrum you get to utilize and maintain the existing capacity of your current hard drive, all within a strict budget of well under $100. 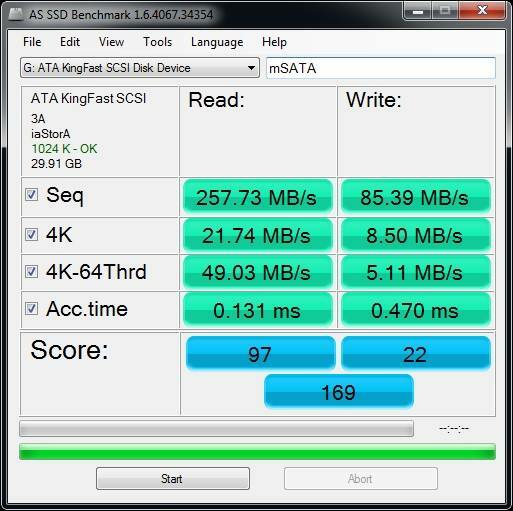 Introducing our KingFast Ultra-Cache K13 mSATA and K25 2.5" SATA2 Solid State Drive Review! About Shenzhen New Kingfast Storage Technology Co., Ltd.
Shenzhen New Kingfast Storage Technology Co., Ltd. is a Chinese company based in Shenzhen, China founded in 2008 by experts in the field of digital data storage technology. They are one of the leading professional manufacturers of the solid state drive in China today and do everything in-house from the beginning of research and development to full-fledge production and products pass international certification such as FCC, CE, ROHS to ensure product quality. It doesn't hurt that they also work with first-tier companies around the world. Kingfast K Series! Get the best of both worlds: Solid State Drive (SSD) like performance and the existing capacity of your hard drive. No need to re-install all your software or clone your hard drive! Just install the Kingfast solid state drive (SSD) and ultra caching software and you are ready to go! The Kingfast Ultra-Cache Solid State Drive (SSD) is a high-speed IO response solid state drive (SSD) designed specifically for laptops and personal computers and can significantly improve your computer system's performance. It is simple and quick to install and can be used with popular operating systems like Windows XP, Windows Vista, Windows 7 and Windows 8. Using a Kingfast K Series Ultra-Cache solid state drive (SSD), you can boost your system's read and write performance up to 5x compared to using a hard drive alone. Just add the Ultra-cache solid state drive (SSD) to your system, install the intelligent caching software and start enjoying faster boot times & lightning-quick launches for your most commonly used applications. The Kingfast Ultra-Cache Solution places your most frequently used files (OS) to Kingfast Ultra-Cache solid state drive (SSD) while leaving your less frequently used files on your hard drive. The Kingfast Ultra Cache solution consists of a high performance solid state drive(SSD) drive, software, bracket and/or CD box drive. Please note that the bracket and CD box drive are purchased separately as per requirements. For PC: You will require the K25 Ultra-Cache Solution and an available drive bay slot in your computer system. You may also need to purchase the K Series Bracket (KF001) if you do not have an available slot. If you wish to use your mSATA, you should purchase the K13 Solution instead of the K25. 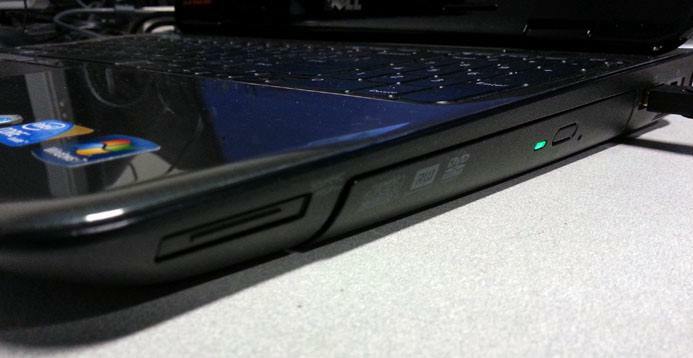 For Laptops and Notebooks: An available drive slot for the K25 Solution SSD. If you do not have an available slot, you can remove your laptop's existing CD/DVD drive and install the K Series bracket (KF001) with the K25 Ultra-Cache Solid State Drive (SSD). 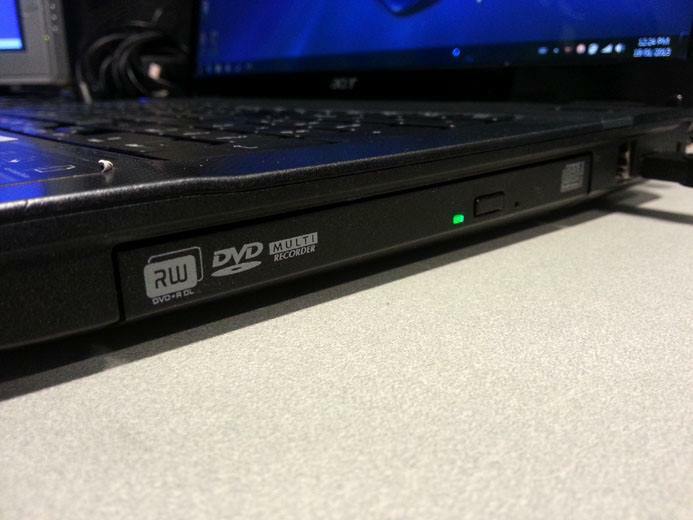 To use the CD/DVD drive, you will need to purchase the Drive Box (KF004) which allows you to re-connect your CD/DVD through a USB port. If you wish to make use of your mSATA slot, you should purchase the K13 Solution instead of the K25. Editors Note: This listing is that of which KingFast can confirm the Ultra-Cache SSD's can work on. This is not to say that it will not work on other older chipsets from various manufacturers. Editors Note: As you can probably tell, both K25 and K13 have exactly the same performance. These SSD's are exactly identical, the only difference between the two is the interface between them, one being 2.5" and the other mSATA. 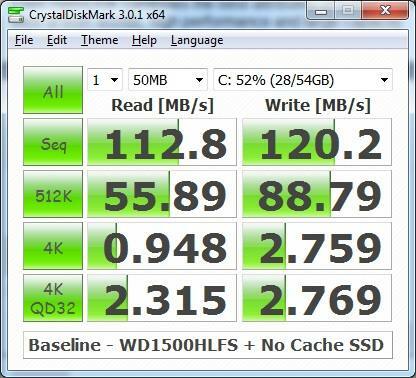 This review will mark our first foray into the Cache SSD space as mentioned before. We have no previous experience with such Cache SSDs, so going into this review there was no expectations or pre-conceived notions, therefore allowing an open mind and unbiased viewpoint. 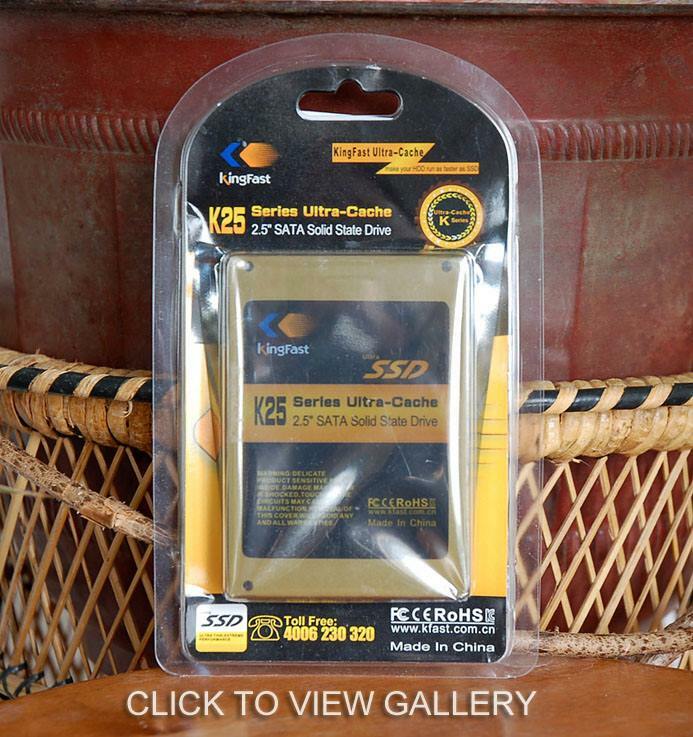 The KingFast K13 and K25 Ultra-Cache SSDs come inside a simple plastic clamshell packaging with a tab on the top to make placing of product easy on store shelves. There's nothing really protecting the contents of the actual plastic clamshell package from being opened. The color scheme of the Ultra-Cache series is a bright yellow and black combination. It's eye-popping to say the least and will draw attention to its bright colors. Before I go on any further, I have to make clear that both K13 and K25 are SATA 2 performance based offerings. These are not SATA 3 performance offerings, keep that in mind. The SSD is placed center of the package, in the case of the K25 it is sealed inside an anti-static bag with a golden KingFast seal at the rear. The K13 is placed inside the clamshell without additional anti-static bag or outer protection, it does not really fit snug inside the package so it's essentially shifting inside on its own rubbing against the plastic material. 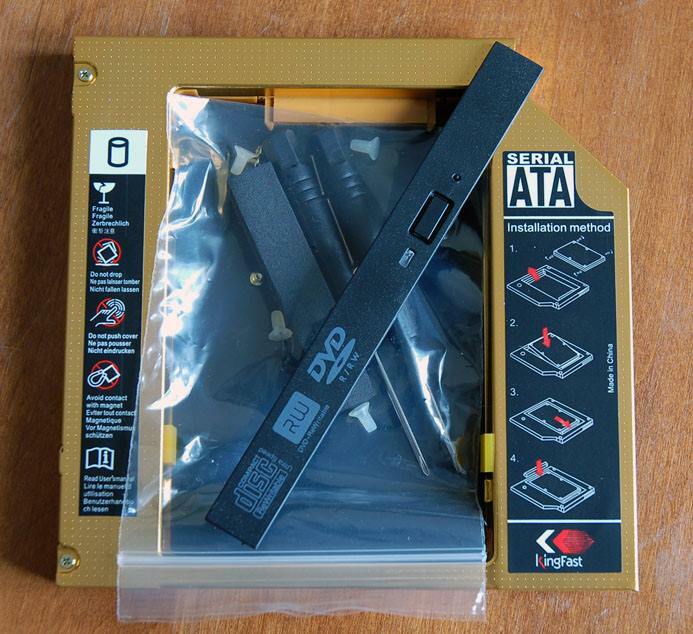 I would have liked KingFast to have made the product fitment for the mSATA SSD either more snug so that it does not wiggle and shift inside the package against the plastic case, or to at least covered and protected it with some sort of material. The lack of trying or care was evident in the case of the K13. The clamshell casing isn't strong at all with the plastic being flimsy and easily bendable, who knows what could happen to the K13 SSD during shipping, if not taken with proper shipping precautions, I would venture to say that it could easily break if shipped without proper care. At least with the K25 it has a metal enclosure to protect it from any harm, the K13 does not have that luxury. 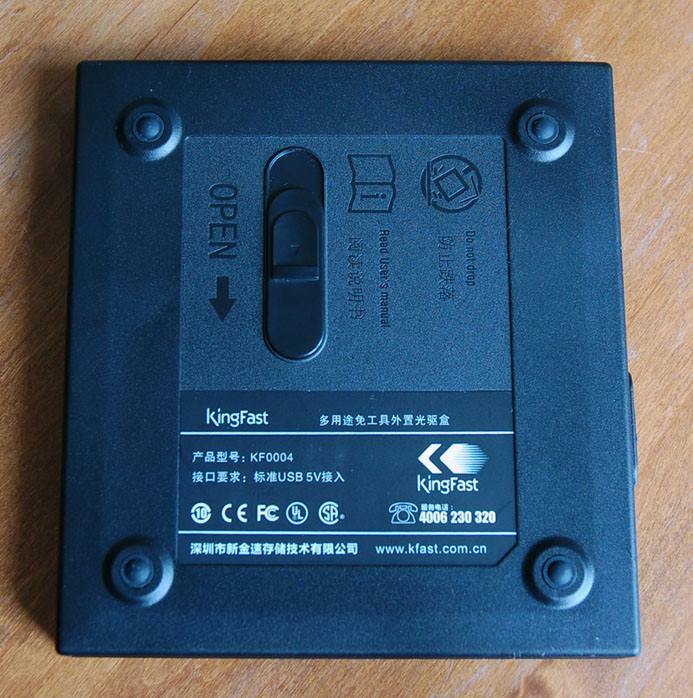 Around the front of the box we have the KingFast logo, model number, K-Series logo designation, a motto that reads make your HDD run as faster as SSD, a toll free phone number that you can call if you run into any issues, and that the product is made in China. Turning to the rear of the box we have the limited warranty statement and disclaimer, part number, serial number, a certification tag with the manufacturing date of the product, and we have a small pamphlet that gives you the serial number of the HybriDisk caching software that will allow you to make use of the SSD as a caching drive. This pamphlet also gives information regarding both K13 and K25, technical information, PC support listing, and the quick installation guide. 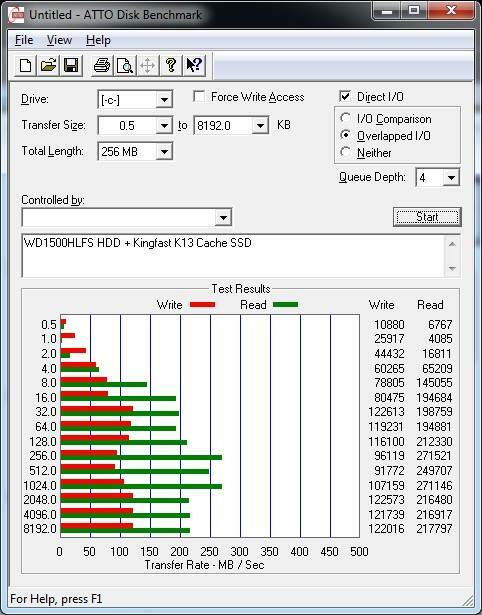 Again as I mentioned earlier, the PC support listing are those that KingFast has tested and verified that the K13 and K25 is able to work with, it's not a complete and definitive list as the SSD's may also work with older and various manufacturers chipsets. Don't lose the pamphlet as it contains the serial number, you lose that, you can't get it back. I didn't see any software CD of any kind in the box, which I found very interesting. I would have thought that there would have been a HybriDisk caching software that was inside the pamphlet in the form of a mini-CD. As you will later find out in this review, that exclusion created confusion and would lead into a typical mistake I would make later on. I found it rather interesting and disappointing to not find any mention of that these were only SATA 2 3Gbps based SSD's, but also the fact that there were no mention of performance ratings, capacity, or features on the packaging. If one see's this on store shelves, what are they to think? There's nothing informative on the packaging, how can you draw any interest or respectable conclusion of what this is going to be able to achieve? The only way to figure out what specifications in terms of performance it has is to go to the manufacturer website and read that both K13 and K25 can do a maximum sequential read of 270MB/s and a maximum sequential write speed of 190MB/s. No IOPS performance numbers were given, no MTBF estimation, nothing! I found this no specification thing to be unbelievably funny in a bad way. So the customer has literally no clue what this thing can do, all we know is that it's a SSD caching drive. The KingFast Ultra-Cache K13 mSATA2.0 SSD measures 51 x 30 x 3.5mm making it the size of two Canadian 25 cent quarters. It's so tiny and miniature in stature that I can see why the interface was made for the sole purpose of placing them in portables and embedded machines, they don't take up much footprint at all. The K13 only weighs 7 grams. On top of the mSATA SSD is a product sticker the encompasses the whole top portion with company logo and series designation. This sticker on the K13 covers the SSD controller, cache memory, and NAND flash memory. Turning the K13 over we have more stickers that tells us that the quality control checked passed, the burn-in test passed, serial number and date of manufacture information of the SSD. These stickers cover the other remaining NAND flash memory of the drive. The KingFast Ultra-Cache K25 is a conventional SSD coming inside a 2.5" metal enclosure. The sample I had received had some exterior faults or nicks to its casing. The edges had scratches and small dents as you'll see in the gallery. Popping open the cover voids warranty but we'll gladly show the innards for you. 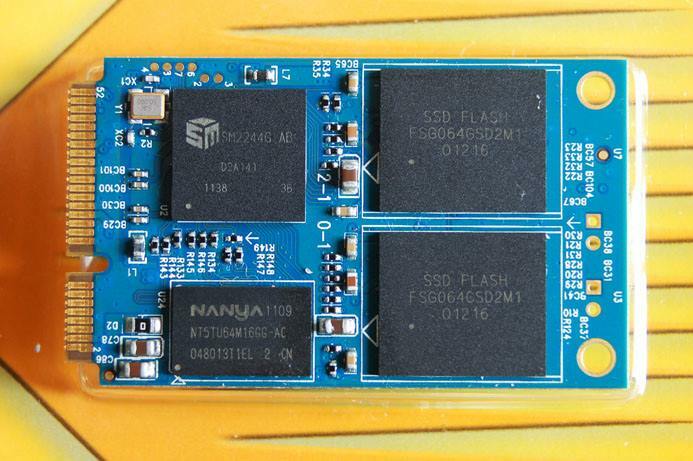 Revealed in the K25 is surprisingly a half-height SSD module that barely even covers the whole 2.5" enclosure. Again the K25 is exactly the same as the K13 when it comes down to components being used, the only difference is interface (2.5" vs. mSATA). Both contain the same SSD controller, same number/type of NAND flash memory, and DRAM cache memory. There is literally no information regarding what type of SSD controller that K13 and K25 utilizes, nothing on the website and nothing on the packaging, so the only way to know what components it uses is to lift the stickers off the drive. In the case of the K13, lifting the product stickers revealed that there are four NAND flash memory chips, one cache memory chip, and one SSD controller. In the case of the K25, as mentioned both drives are exactly the same. Same components, just different interfaces. The SSD controller is that of the Silicon Motion SM2244G. Silicon Motion is a company I've never heard of before, such as I've never heard of the PHISON SSD controller that was inside the Patriot Memory Torqx 2 SSD. The Silicon Motion SM2244G SATA SSD Controller is obviously a very budgetary solution meaning to keep costs down low as possible. The SM2244 is an extremely high-performance SATAII SSD Controller, supporting the new generation high-speed synchronous mode NAND and delivering the world highest transfer rate among 4- channel SATA Solid-State Drives. The SSD controller provides small-form factor to be more adaptive to the applications for mobile consumer electronics such as tablet PC, Netbook, mini-SATA (MO-300A), and Half-slim SSD (MO-297). In addition to advanced features and customized supports, the SM2244 offers longer SSD lifetime with lower write amplification and wear leveling factor (WLF). To satisfy the requirements for industrial, military, and consumer storage systems, the SM2244 is the best solution to the compromise between performance, power consumption, form size, and cost considerations. 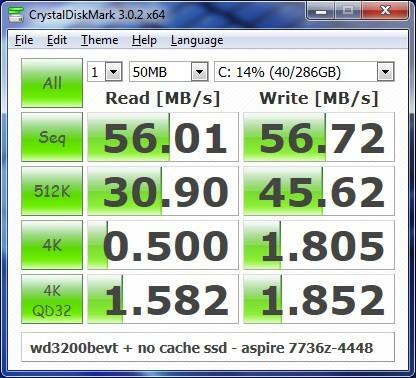 Editors Note: The overview makes the Silicon Motion SM2244 SSD controller sound pretty decent. There is wear leveling so that the NAND Flash chips life expectancy is extended over time and data integrity is high, as you see later on it supports major functions such as Native Command Queuing, supports either synchronous, asynchronous, and Toggle memory. 2x/3x nm MLC or SLC memory, all that good stuff a decent controller should support. It just hurts that the other components aside from the NANYA DRAM cache are unknowns. Continuing the trend of keeping costs down low as possible, there are four chips of NAND flash memory on board, but again the details of these are unknown as there is no information regarding what they are. 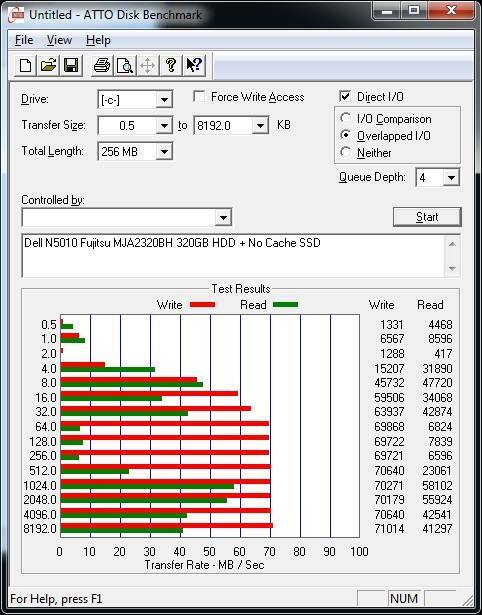 On the chips read SSD FLASH FSG064GSD2M1. I can't tell you who makes these chips as searches come up empty. I can't tell you the manufacture, manufacturing process, speed, program erase cycles, if they are asynchronous, or synchronous, I can't tell you anything. The only chip that is known to be respectable is the cache memory chip that comes from NANYA Technology Corporation, this is a well known DRAM maker based in Taiwan that has been in the business for a long time and their products are widely available in the market. This cache memory DRAM chip is 1GB of DDR2 800MHz SDRAM in a 84-Ball package. The memory timing for this particular RAM is 5-5-5 (CL-TRCD-TRP). Specifically for laptops and notebooks, there are optional accessories you can purchase to make installation easier depending on what you have. First of all you have to see which solution you can install into your notebook. If you have an available mSATA connector, purchase the K13 SSD to use as a caching drive. 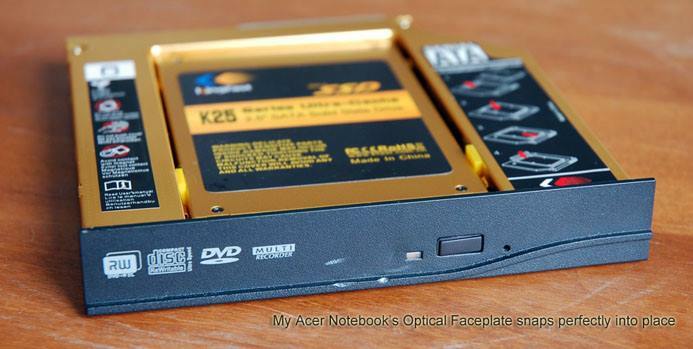 If you already have a spinning hard drive inside your notebook and no mSATA connector available, then purchase the optional K-Series Bracket KF001 (about $11USD), this is basically a drive bay that allows you to connect any 2.5" SSD into your optical drive bay connector. 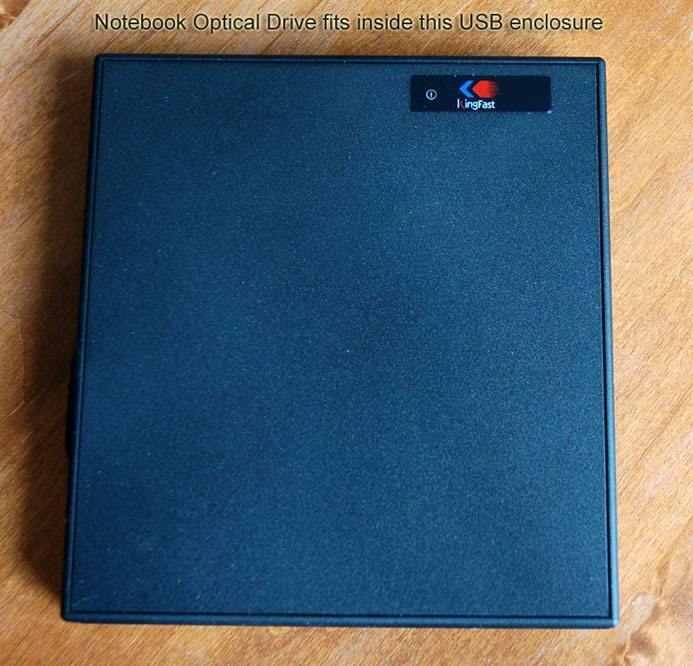 In this case you will have to remove your optical disk drive and purchase the optional Drive Box KF004 (about $9, basically an enclosure for your ODD) to be able to use your CD/DVD drive through the USB port. Another possible way to use the K13 mSATA SSD in conjunction with the optional K-Series Bracket KF001 drive bay is to use the K13 with a mSATA to 2.5" SATA drive adapter (such as the one that was included with the mSATA KingFast KF1310MCF I reviewed earlier). You can see in the gallery that I chose to test this way in one of my configurations. The K-Series Bracket KF001 optical drive bay is of high quality and design. It fits snug inside the conventional depth of 12.7mm in most notebooks out there on the market. There is an installation picture that shows you how to install the 2.5" hard inside the caddy, though it's really straightforward. I love how the optical drive bay comes with all of the tools necessary, it comes with both screwdriver and flathead screwdriver, screws and optional faceplate. Though you should really use the faceplate on your actual optical disc drive on the caddy, and use this included faceplate on the optical disc drive enclosure Drive Box KF004. 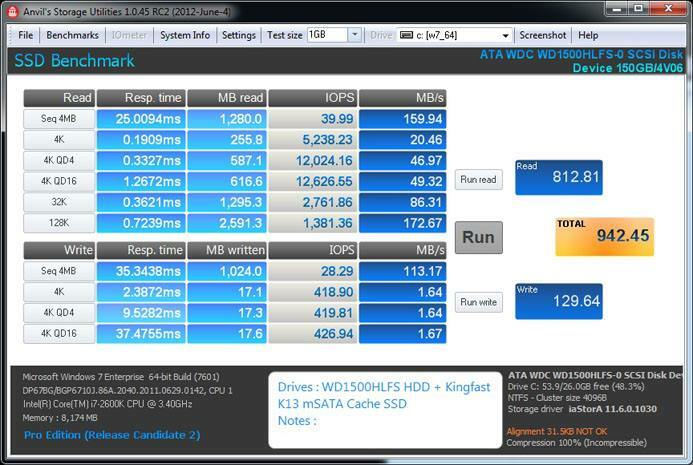 In the case of the KingFast Ultra-Cache K25 2.5" SATA2 SSD, all you simply do is connect it to an available SATA 2 port on your motherboard. The Ultra-Cache SSD must be set in the BIOS to AHCI and remember to double check that your regular hard drive with the OS is already set to first boot priority. The KingFast should not have boot priority. Once into the Windows operating system (Windows XP SP2, Vista, 7) you should see that the KingFast is picked up and already ready to use. Nowhere does it say, but the HybriDisk software is already on the drive. The drive is already pre-formatted and should be ready right away. It is best to save the software on another drive so you always have a copy. The lack of clear instructions and myself not following the manual at first led to a typical mistake that can happen to anyone, and was the beginning of my troubles. For some reason I either forgot to set the boot priority correctly (or the computer did not save) while at the same time I was still wondering where the heck the software was as I saw no CD and the package did not mention the software was already on the drive. The KingFast SSD was not picking up correctly on my system and I accidentally initialized and formatted the SSD in frustration. Therefore the software was lost! 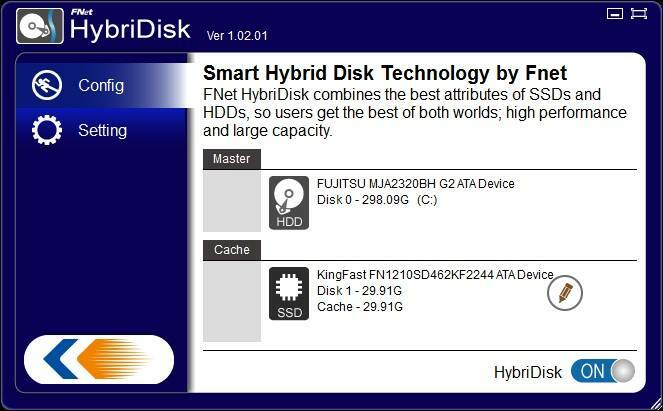 Thankfully on the KingFast website, their support page already have the HybriDisk caching software ready for people to download. Again, KingFast should have included the software on a mini-CD in the package, and not just dump the software on the drive without making this clear. If this incident can happen to me, it can happen to anyone. The same installation method should be used with the KingFast Ultra-Cache K13 mSATA. Although in this case you may need to use the optional K-Series Bracket KF001 drive bay and Drive Box KF004 to make things easier depending on your configuration. All is really simple and straightforward. You can see in the gallery how the installation is completed. I have to mention that the Drive Box KF004 accessory, that is basically an enclosure that allows you to use your optical disc drive through USB, the connector at the rear is a mini-SATA connector. You must verify that your notebooks optical drive slot uses this connector and not the older IDE type connector. I know some notebooks have the hard drive connector as SATA, but the optical drive slot as IDE, which doesn't make sense to me. I know this because one of my notebooks had this issue. Initial Issues and Observations - Did not work! There is a saying that the first generation of anything will always have some sort of problem. Well that saying came true for my experience with both K13 and K25 Ultra-Cache SSDs. One of the main selling points and advantages being advertised about this KingFast Ultra-Cache solution is that it requires no re-installation of the operating system. Whatever you are running, you don't need to backup and reinstall the OS, which is very nice. 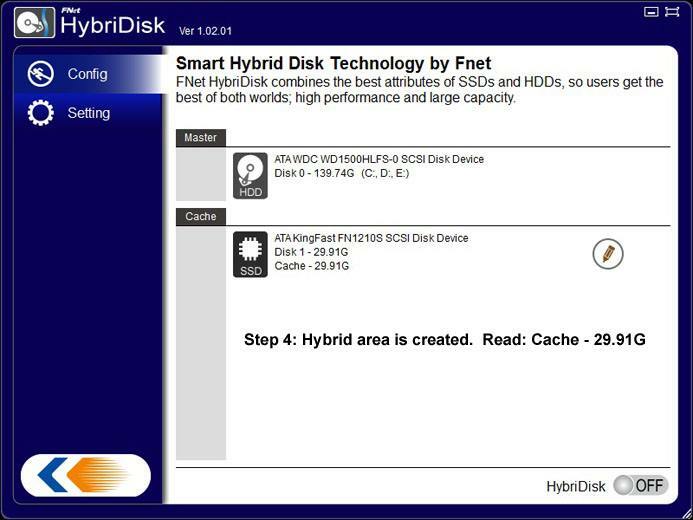 All you technically need to do is install the HybriDisk caching software, and turn on caching so that the SSD can work in conjunction with your current spinning hard drive. In theory it's supposed to be that easy. For me it wasn't that easy because it just did not work. 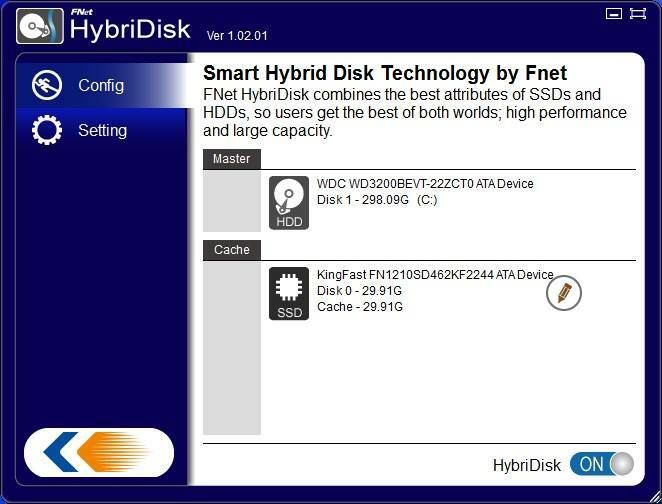 Once I re-downloaded the KingFast HybriDisk caching software and installed it with the serial number provided in the pamphlet, with everything in the correct configuration, I restarted the computer, opened the HybriDisk software and found that the software did see my normal primary hard drive, but could not see the KingFast Ultra-Cache SSD solution as the secondary. I tried this on my P67 chipset motherboard that was listed in the PC support list in the pamphlet. I tried it also in two other different Intel chipsets in two of my other notebooks with no success, even though these were also listed in the pamphlet. I even tried it on my old AMD ULI chipset motherboard configuration with no success, the ULI was not in the PC support listing, but I thought I would give it a try. It's supposed to be as simple as plug and play, though that was simply not the case. So I email KingFast back and they do their best to help me with this problem. 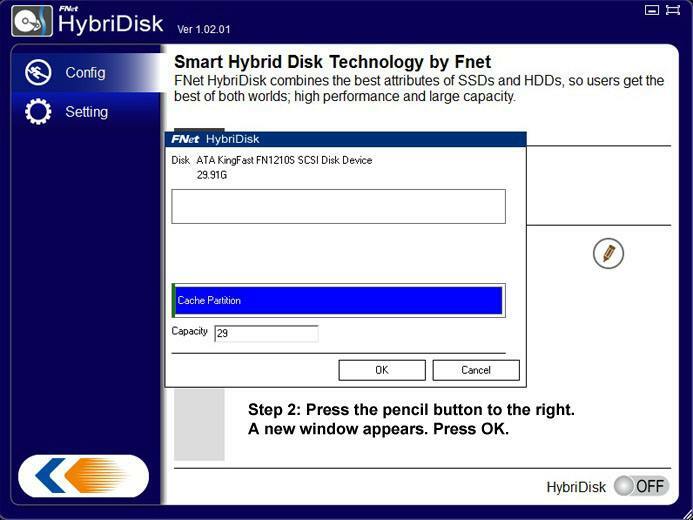 We investigate every possible scenario and they provide software for me to verify what the HybriDisk software is actually seeing as the connected devices. This process of back and forth communication goes on for about a full month without any success (during Chinese New Year holidays, so some down time) and eventually they ask me to send both SSD's back and they will send replacements. During this process of investigation I made note of every change and device descriptions provided by the software we used to investigate the issue. Apparently the HybriDisk caching software is hardcoded to look for specific device information, this is to prevent the software to be used with any other SSD. 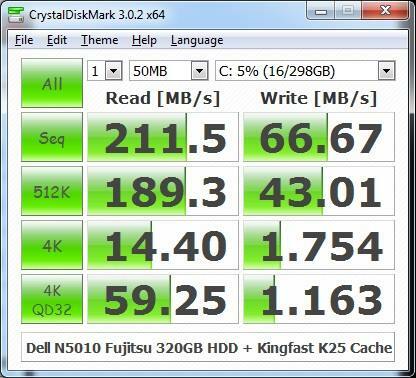 It would be a serious flaw if you were able to use this KingFast SSD caching software with other branded SSDs. 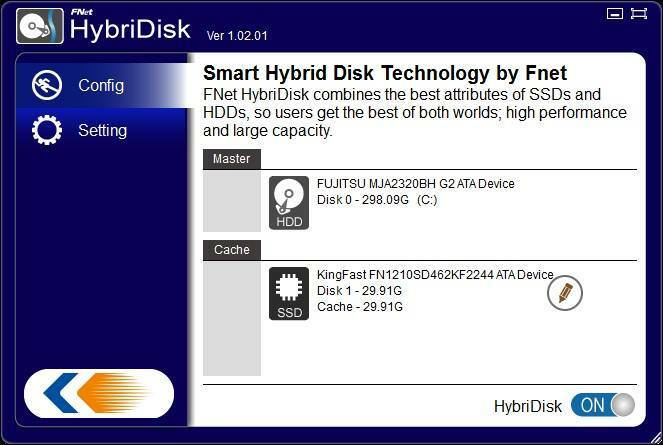 The replacements arrived later on and immediately with the same version software both K13 and K25 were recognized by the HybriDisk caching software. Caching was possible to be enabled at this point. My conclusion was formulated when I inspected the information for both failed drives and working drives. It wasn't my configurations or computers, those were fine. It wasn't the drives model name or serial number causing troubles, it was something as silly as the Storage Device Descriptor Product Name being the culprit of all of the trouble. I kid you not! 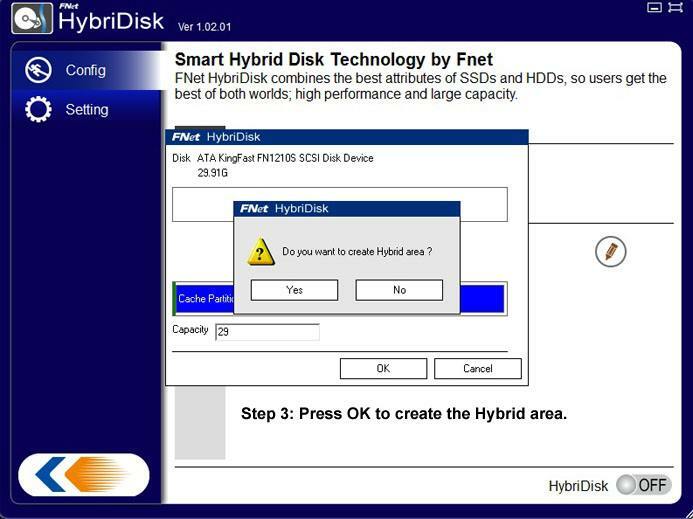 So if the HybriDisk software see's that the Storage Device Descriptor Product Name is incorrect, it will not work! 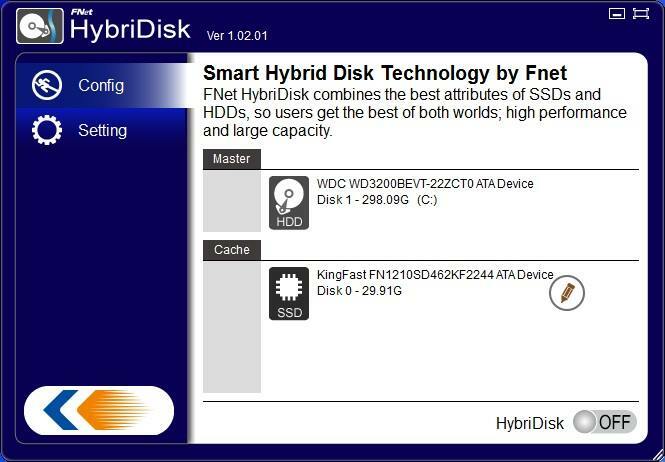 On the K13 and K25 that fails and did not work, the Storage Device Descriptor Product Name is KingFastFN1210SD. The replacement and working drives simply read KingFast FN1210S. Every other piece of information is exactly the same line by line. It's surprisingly funny how such an error in the firmware could cause these issues that no one could figure out for almost a month, and it's more surprising that KingFast made this error at the factory and let it get passed through to production. At this point I'm a little afraid if others have the same non-working batches that I was given and have come across the same issue of the HybriDisk caching software not being able to read and see their drives. Come on that is silly! 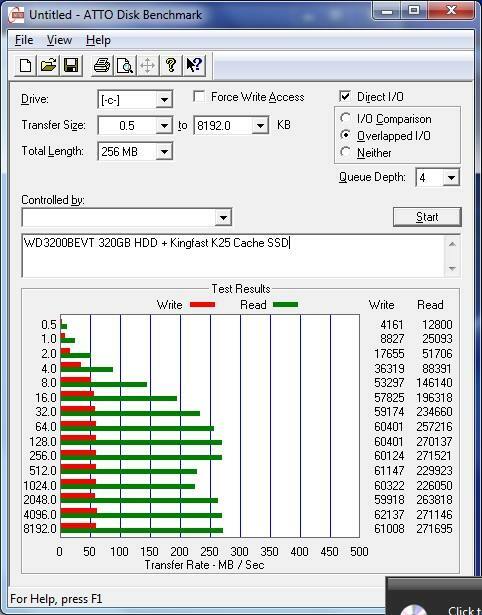 The testing of both KingFast Ultra-Cache K13 & K25 SSD's were tested on three different configurations. The first configuration was in our 2012 ModSynergy Test PC, second on the Acer Aspire 7736z-4448 notebook, and lastly on the Dell Inspiron N5010 notebook. First I will provide a baseline score testing with just the respective HDD only inside each system followed by the KingFast Ultra-Cache SSD enabled. That will give you a good idea of what you can expect as there are three different configurations and three different HDD's. As you can see, the KingFast Ultra-Cache K13 & K25 can help system performance by offsetting the load off from the normal HDD so it does not have to do all the work by itself. By the numbers, the bulk of the improvements are made with respect to the read speed performance. The read performance with the SSD caching on was a large leap because not only did sequential read performance jump from about 56MB/s to about 248MB/s in one configuration, the added benefit of the lower access times associated with the SSD working in conjunction with the HDD only helped make everything much more snappier and speedy. There was definitely a noticeable difference on how the system felt. Applications opened radically quicker once the HybriDisk software starts automatically when Windows loads. Opening large programs such as Visual Studio was significantly faster. Photoshop opened within a few seconds instead of taking 25 seconds on one of the notebook configurations. 4K and 4K-64Thrd performance also noticed significant improvement and directly correlates to the performance of a system. The faster the 4K performance of a drive, you can bet your money on the faster the overall system performance. Little to no differences were made with respect to write speed performance, so that part was a disappointment to see, however, write performance isn't the aspect that directly affects system performance. 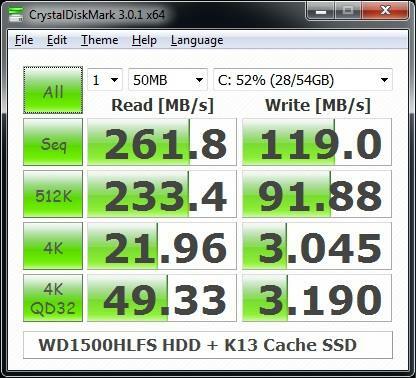 By itself both the K13 and K25 are not the fastest SSD's out there by any stretch of the imagination. Both are capped at SATA2 speeds and offer up to a rated maximum sequential read speed of 270MB/s and maximum sequential write speed of 190MB/s. 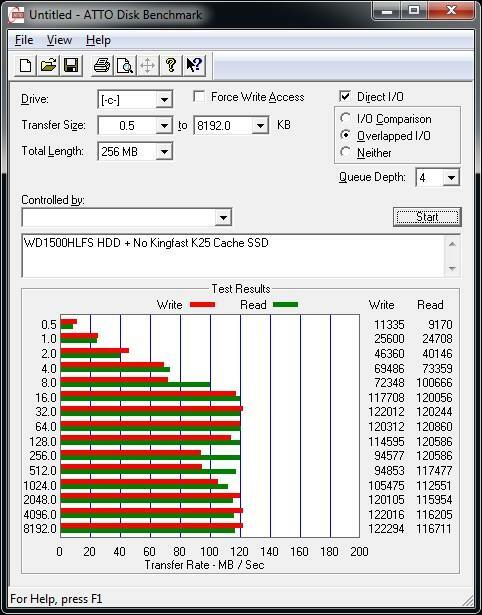 But upon benchmark of both drives on its own it turned out the lowest AS SSD overall score we've seen for a SATA 2 SSD of only 169 points. The majority of its downfall was related to its write performance. 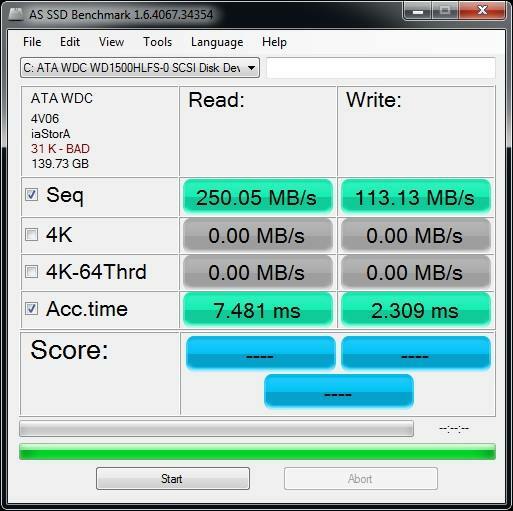 It was clearly evident that the drive was catered to its read performance as it did actually turn out respectable read performance for a SATA 2 SSD. Sequential read performance came in under 260MB/s, 4K and 4K-64Thrd performance was good, and it had very good read access time performance of only 0.131ms. On the flip side the write performance was the disappointment of the K13 & K25 Ultra-Cache SSD's. The results were rather poor to say the least, the drive could only net a sequential write speed of about 86MB/s far from the rated 190MB/s. 4K and 4K-64Thrd results also were poor not even getting past 10MB/s for both tests. Access time for the write portion was also a little high at 0.470ms. 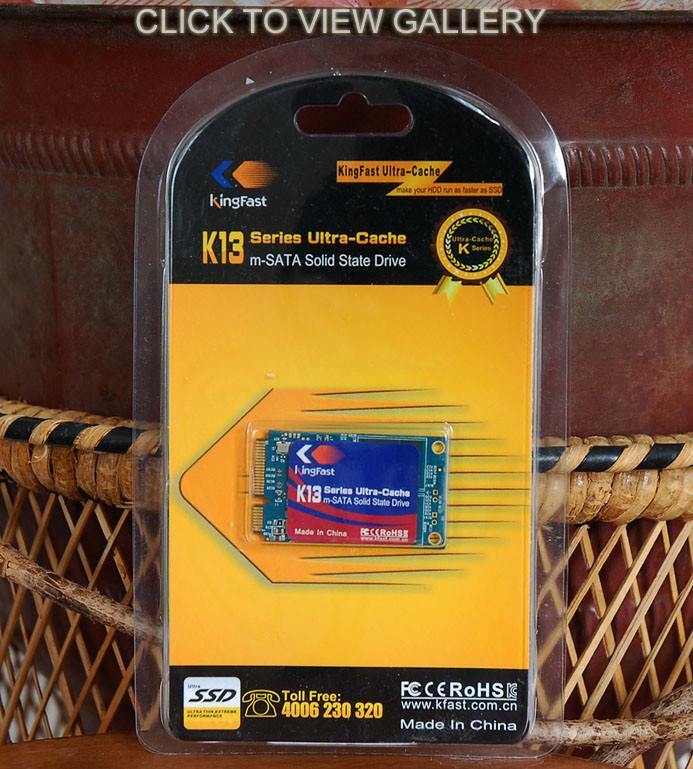 So in conclusion, the performance of both KingFast Ultra-Cache K13 & K25 is catered to boost read speed performance and it does so very well, however, it does little to nothing with the current write speed you are experiencing. 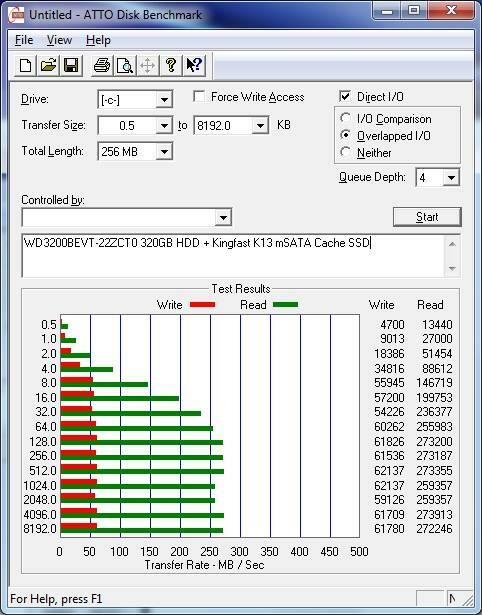 This was a bit of a mixed bag when it comes to the conclusion of the KingFast Ultra-Cache K13 mSATA and K25 2.5" SATA2 Solid State Drives. Initial impressions weren't very nice when both drives ended up not wanting to work. It was later figured out (my conclusion) after replacement drives were sent that the issue was something as silly as the incorrect storage device descriptor product name Depending on your configuration it might make sense to boost the performance of your system. 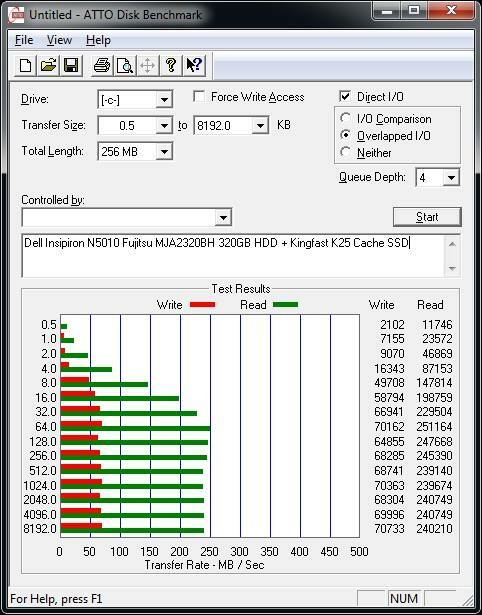 Ultimately, the KingFast Ultra-Cache SSD series does work in improving the performance of your machine. For the desktop solution, the K25 sells for $64USD (before shipping). The problem now with the K25 is the pricing. Who's to say you don't just purchase a 32GB SSD for $50USD and use that as the boot drive, and then use your HDD to store all your data? 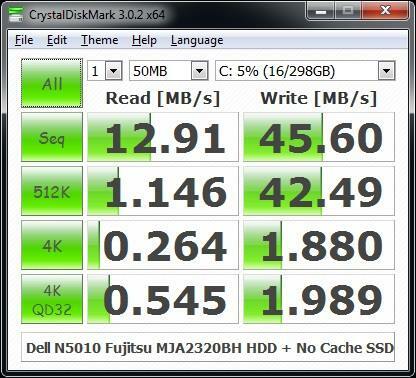 That might make even more sense when you factor in you're getting a SATA 3 SSD that has faster performance. The only drawback is that you need to backup, reconfigure and reinstall your machine. 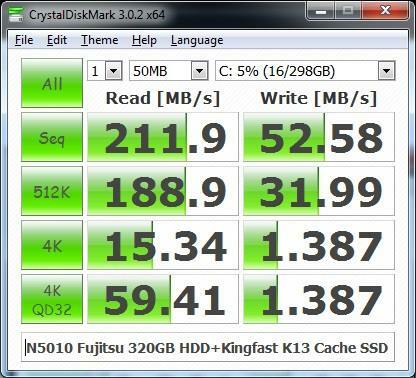 This is a headache that the KingFast Ultra-Cache SSD's do not have as they can work on an existing system immediately. Or who's to say you don't just pick up one of those SanDisk ReadyCache 32GB SATA 3 SSD's at NewEgg for $50USD (free shipping) and do the same thing that the KingFast Ultra-Cache K13 & K25 were designed to do -- be a caching SSD drive. The SanDisk ReadyCache can do SATA 3 speeds (up to 450MB/s read, up to 110MB/s write) so it's faster out of the box than the KingFast by a big margin and also is capable of working on an existing operating system setup without reinstallation. If you have a notebook then it costs a little more. The K13 sells for $61USD (before shipping). If you need the KingFast K-Series Bracket KF001 drive optical bay that is an additional $11USD and if you require the Drive Box KF004 USB enclosure that is an extra $9USD totaling $81 before shipping. 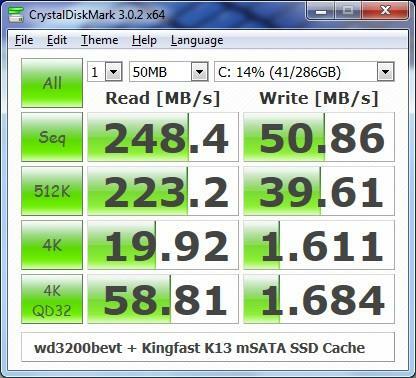 At least with the KingFast K13 Ultra-Cache mSATA SSD the price actually does make sense. The decision is ultimately yours to decide. Ultimately, the KingFast Ultra-Cache SSD series does work in improving the performance of your machine.